We know it’s an exciting time! Please review the details and/or conditions of your offer of admission. If you’ve received a conditional offer, all conditions must be met by the specific dates to retain your offer and spot within the program. Failure to meet your admission conditions will result in your offer being withdrawn. If you intend to complete any of these conditions by taking summer school or correspondence courses, please let us know. You’re responsible for ensuring that official notification of your mid-term and final marks are received by the deadline stated in your offer letter. Once you receive your offer, you can accept your offer of admission. If you applied to Lakehead-Georgian through OUAC 101 or OUAC 105, please accept your offer through OUAC. All other applicants are required to accept their offer using their myInfo account and selecting “Accept My Offer”. You must respond on or before the date indicated in your offer of admission. 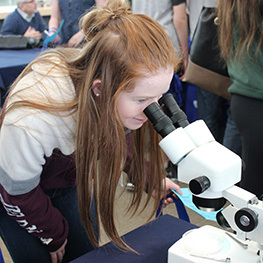 Admission and registration at Lakehead-Georgian is conditional upon full compliance with all Lakehead-Georgian regulations and policies, including those respecting fees. It’s important to confirm your acceptance response was received on our end. Check “Track My Application Status” in myInfo. If the application status says “Offer Accepted”, then we received your response. If you applied using OUAC, please note that there is a time delay of approximately 48 hours from when the OUAC sends us your response. As a result, you may not see your response in myInfo right away. In addition to accepting your offer, you’re also required to submit a non-refundable confirmation deposit by the deadline stated in your offer letter. This deposit will be applied to your tuition fees for the upcoming school year. To ensure we received your confirmation, go to myInfo, then “Track My Application Status”. If the application status says “Confirmed with Deposit”, we received your deposit.